All eyes are on Cora’s room right now which is in a huge state of disarray as we are finally giving it the proper design treatment. We held off really “doing” her room since she was in that transition from baby to big girl when we moved and it’s nice to let them grow a little so that they can really have some input in their big kid rooms. 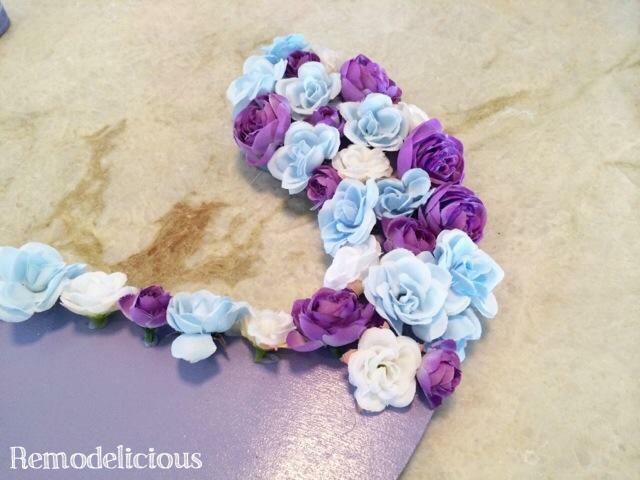 Cora’s requests: purple, blue, and butterflies. So far, I’ve done her butterfly artwork, butterfly ceiling treatment, and picked up a few blue & purple accessories here and there. Her big girl bed just arrived (photos soon!) 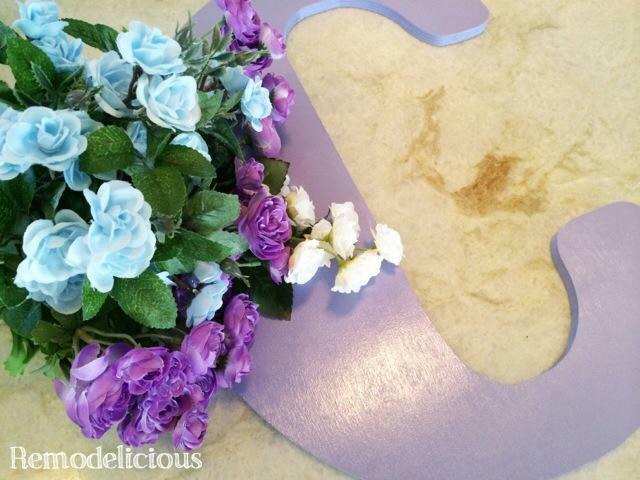 and I wanted to make something special to hang above her new bed. Cora’s middle name is Rose, so it’s another motif that she’ll naturally have for the rest of her life. 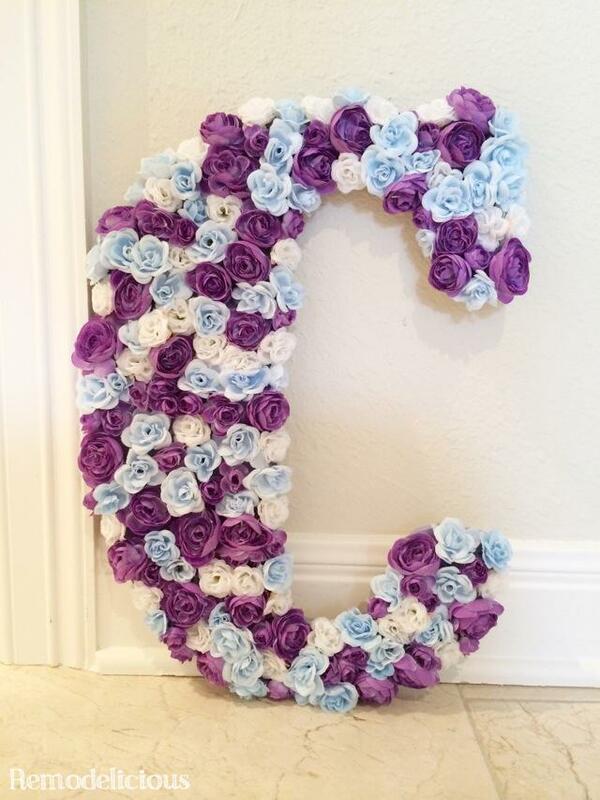 What better decor than a “C” made out of roses for her room? 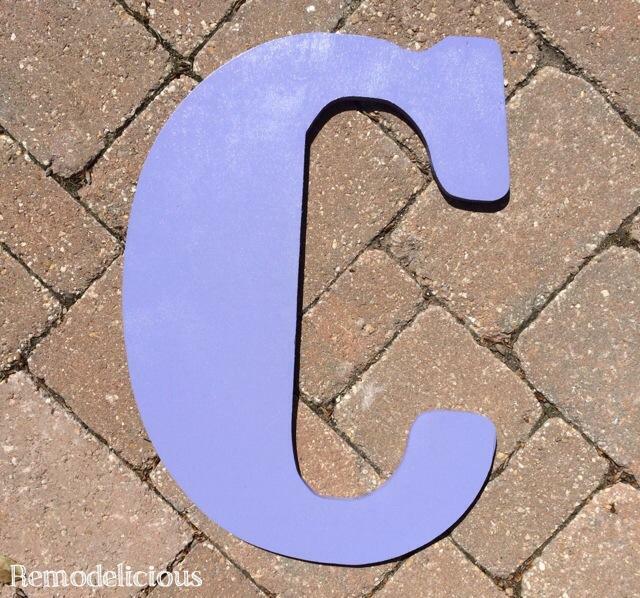 I picked up this large, wooden C from Hobby Lobby. It was $12.99 and I used their 40% off coupon since it wasn’t on sale. A quick prime & paint and it was lavender. I didn’t fuss too much over the paint since it will be covered, but I’d rather have lavender peeking out than the bare wood. 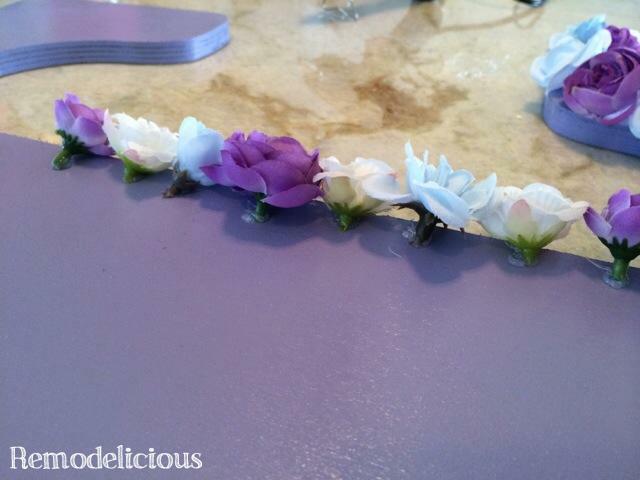 I also picked up some inexpensive flowers in blue, purple, and white from Hobby Lobby. They were on sale for 50% off so each much cost me $1.00-$1.50 and I used 8 bunches total. The trick to shopping Hobby Lobby is to always buy things on sale. If it’s not on sale this week, it will likely be on sale next week. 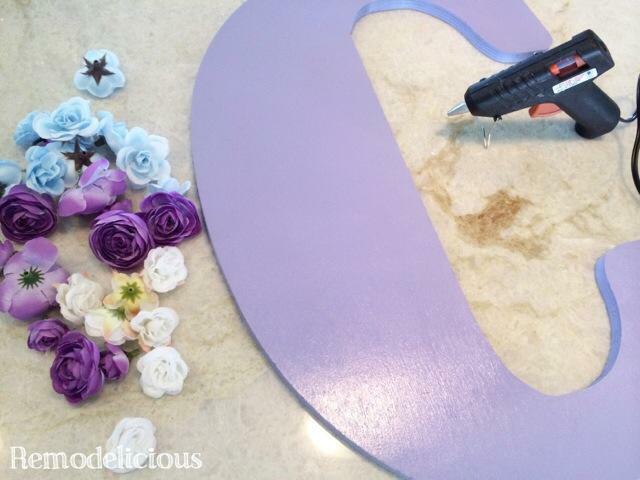 I pulled the flowers off the stems while the hot glue gun was warming up. And glued them on, starting with the edges. For the edges, I glued them at an angle so the junky plastic bits wouldn’t show from the side. 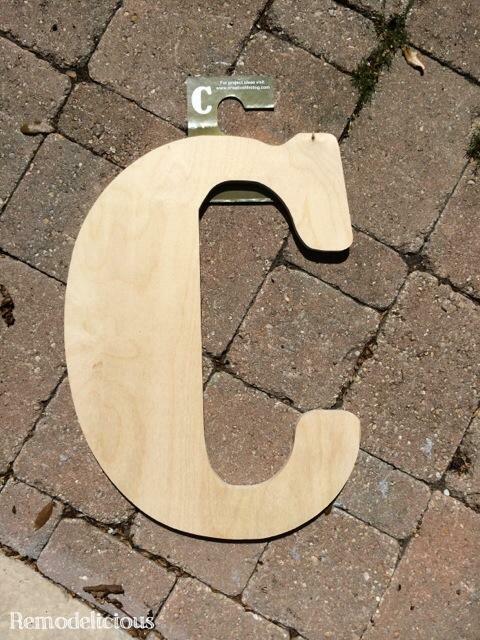 And glued the rest straight up, filling the entire C.
And here we go! One floral, rose C for Cora Rose. I’m waiting to get her bed placed in it’s final location before hanging it, which is difficult with her crib/toddler bed and all of the other chaos going on in there right now, but soon I’ll get to hang it. She is so excited that her room is getting so much attention!